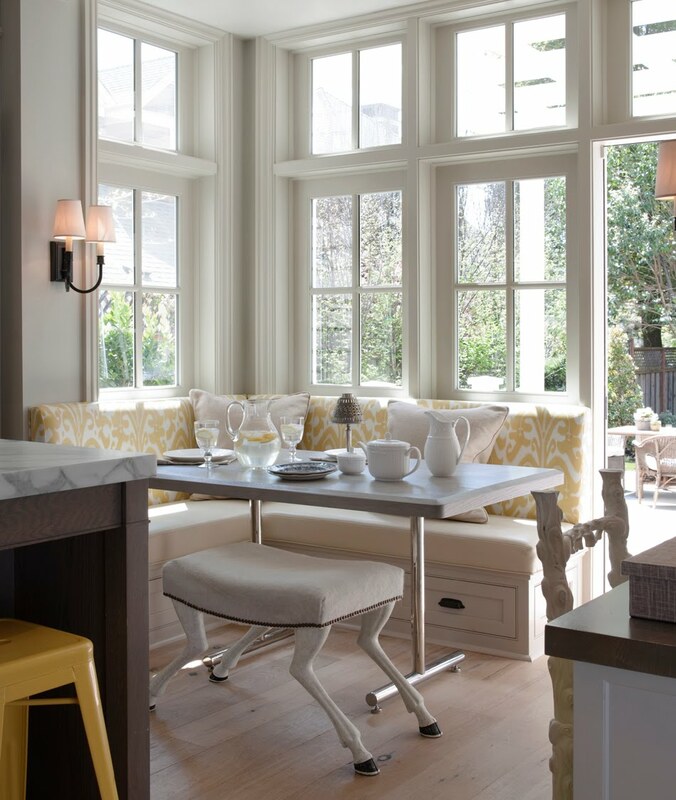 I love, love, love the pops of yellow and pink in this very light and bright house. The kitchen is what I dream of. 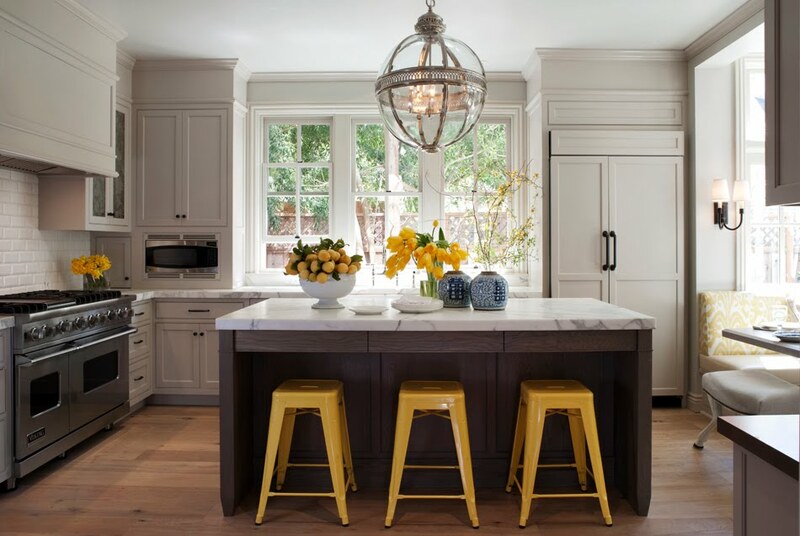 Plus all the small details make it dreamy – I love that horse-legged ottoman and bench storage in the kitchen nook and the star pendant light in the bath. oh my, that kitchen in the first pic is my dream kitchen! 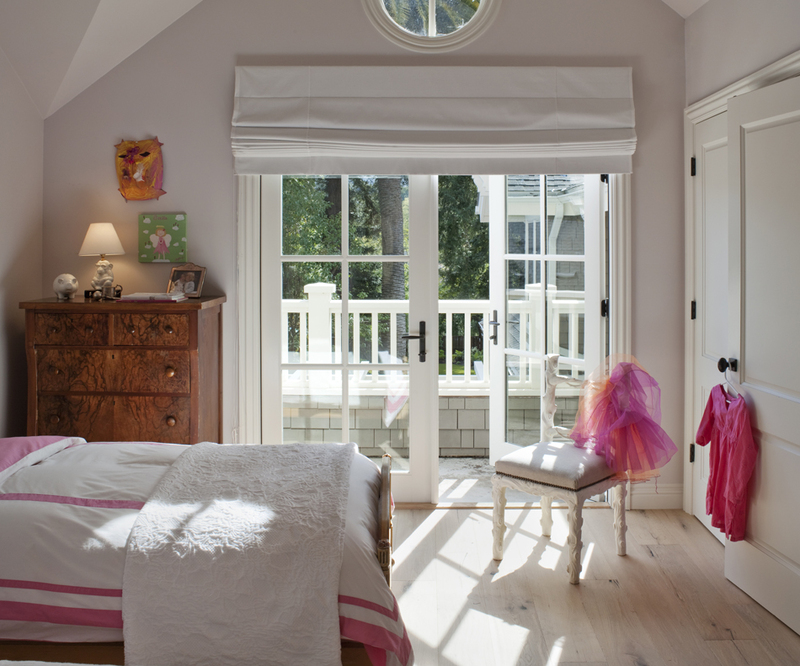 love that space, so pretty and light!